It is now widely known across the globe that tourism is a very diverse and labour-intensive industry that creates a wide range of direct and indirect jobs in both formal and informal sectors of a country. Out of the 49 Least Developed Countries (LDC), 39 have already identified tourism as a priority sector for their economies. Tourist arrivals in LDCs are also increasing that help development of economies in those countries. Among all the components of the service sector, the tourism industry is more vibrant with an unbound contribution to poverty alleviation and graduate out from LDC to a developing country. It is indeed a good piece of news for us that Bangladesh is graduating out from LDC by 2021-2024. Amid the three indexes to graduate to the LDC, Bangladesh is in a good position. According to a UN report, Bangladesh is projected to be among the fastest growing least developed countries in 2018 with the expected GDP growth 7.1 per cent, supported by vigorous domestic demand. Tourism may also be one of the major and important sectors in this regard to help Bangladesh become a mid-income country and its sustainable graduation to the upper economic status. Among the service sector, the tourism industry is gradually being vibrant with the positive trend in Bangladesh. Though Bangladesh tourism is at the bottom of the global index, it posses many potentials to rise at the growing pace of national GDP. The government of Bangladesh focuses achieving SDGs. Among the SDGs, goals 8, 12 and 14 are directly related to tourism. However, we can fit tourism industry with all the 17 SDGs. According to the WTTC, tourism directly contributed 2.2 per cent to the GDP of Bangladesh in 2016. It is expected to rise by 6.1% per annum from 2017-2027 to USD 10.2 billion (2.1% of total GDP) in 2027. On the other hand, the total contribution of travel & tourism to GDP was BDT 840.2 billion (USD 10.6bn), 4.3% of GDP in 2016 and it is forecasted to rise by 7.1% per annum to BDT 1,783.0 billion (USD 22.6 billion), 4.7% of GDP in 2027. Regarding the employment generations for Bangladesh, the contribution of tourism is not bad at all. In 2016 travel & tourism directly created 10 lacs 57 thousand jobs, which is 1.8% of total employment. This is expected to rise by 0.6% per annum to 11 lacs 38 thousand jobs in 2027. The total contribution of travel and tourism to employment in the same year was 21 lacs 87 thousand (3.8% of the total employment). This is expected to rise by 1.6% per annum to 26 lacs 95 thousand in 2027 (3.8% of the total employment). This is definitely a very good scenario for Bangladesh in achieving the SDGs as well as graduating Bangladesh out from LDC to a developing country. The travel and tourism investment in 2016 was BDT 72.5 billion (USD 0.9 bn), 1.2% of the total investment of Bangladesh. To graduate out from LDC to a developing country by 2021 and maintain a sustainable growth, Bangladesh can leverage its tourism potential. Tourism can create jobs for skilled persons as well as for low-skilled workers in remote areas. Bangladesh needs to create congenial infrastructures for the hassle-free journey of tourists. Trained up manpower is needed for providing international-standard services to tourists and earn more revenue. Tourism development should have integrated approach in all strata of project processing, formulation and implementation. The policy guidelines have to be set in such a manner that economic benefit and environmental protection are maintained as well as proper benefit cascades down to local people. We should be always supportive that poor people can establish and run tourism enterprises (small and medium-sized enterprises) or community-based enterprises. We need to identify the bottlenecks and challenges for implementing the rules and regulations against the benefit leakages form local tourist attractions as well as profit-mongers who deprive decent jobs. Also the organisational capacity building is required i.e. efficient manpower to handle the government projects properly and generate revenue from tourism. Close cooperation and constant consultations between the public and private sector is required so that the government organisations can become supportive and able to create more tourism facilities across the country. We must focus quality tourism services (QTS) and hence we need an accreditation body. Without accredited quality tourism services, it may be very tough to draw niche tourists and attract foreign investment, which is essential for the tourism sector and sustainable LDC graduation. Creation of public awareness and demonstration of the country’s tourism attractions to the global tourists is sine-quo-non. It should be a regular activity. In this regard, tourism fairs, festivals, road shows, seminars and workshops at all the tourist sites may be organised. Bangladesh needs to fulfil the needs of domestic and foreign tourists by offering quality transportations, accommodations and food & beverage services. By fulfilling these needs, we can pump in foreign currency to the local economy. Among other important issues, foreign direct investment is a prominent one. When Bangladesh will graduate out from LDC, it will need to create more and more international-standard facilities and ensure modern services. Also, it will need to create competent manpower at par the developed countries to have a positive image about its tourism industry. Then, foreign investors will feel encouraged to invest in the tourism sector of Bangladesh. Also, the creation of publicity materials, like posters, brochures, flyers portraying the country’s unique tourism attractions as well as how tourism helps people to be self-reliant, is very crucial. And training local people, who are the guardians of local cultures and heritages, is a must to create an alternative livelihood. A research cell can be formed including all the relevant stakeholders like BBS, BPC, BIDS, CPD and FBCCI that can help the government with proper data analysis and exact trend of the tourism industry. 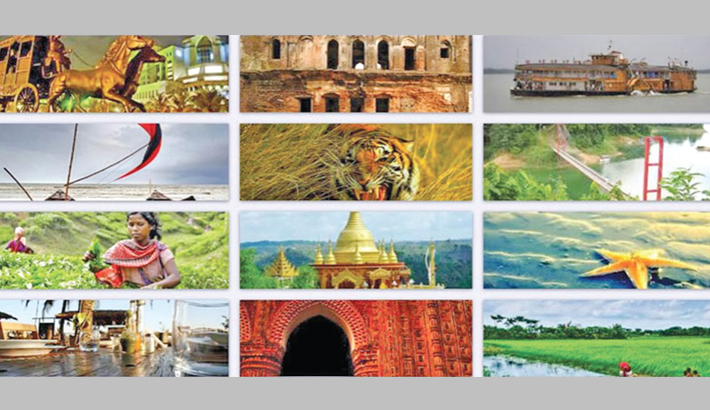 It is indeed not a tough task to bring Bangladesh tourism industry on the board of the government efforts for sustainable LDC graduation to a developing country.